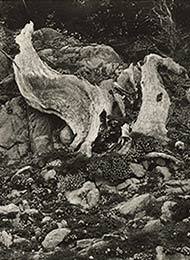 Below you’ll find links to stories about recent additions to the Museum’s collection and featured collection objects. 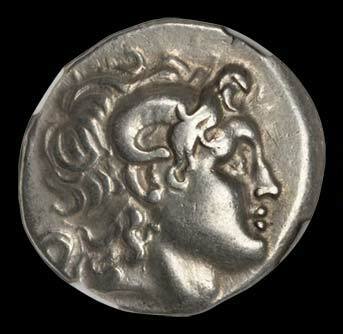 In the last year or so the Museum has continued to add high quality examples to its collection of ancient coins, and some of our most recent acquisitions have been related to Alexander the Great and the kingdom of Macedonia. Several highlights are presented here. Elizabeth Catlett is among the most distinguished African American artists of the twentieth century, yet her work is somewhat less well known than her peers’ in part because she made the decision in 1947 to move permanently to Mexico. 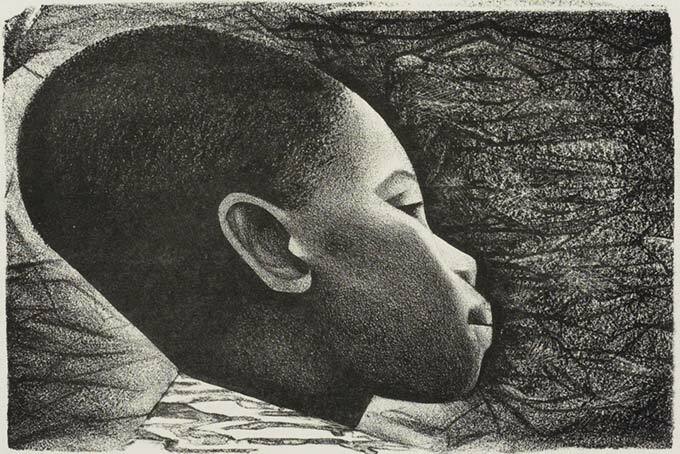 Both a print maker and a sculptor, she was repeatedly attracted to the themes of race and gender drawn or sculpted in a seductive blend of modernism and naturalism. 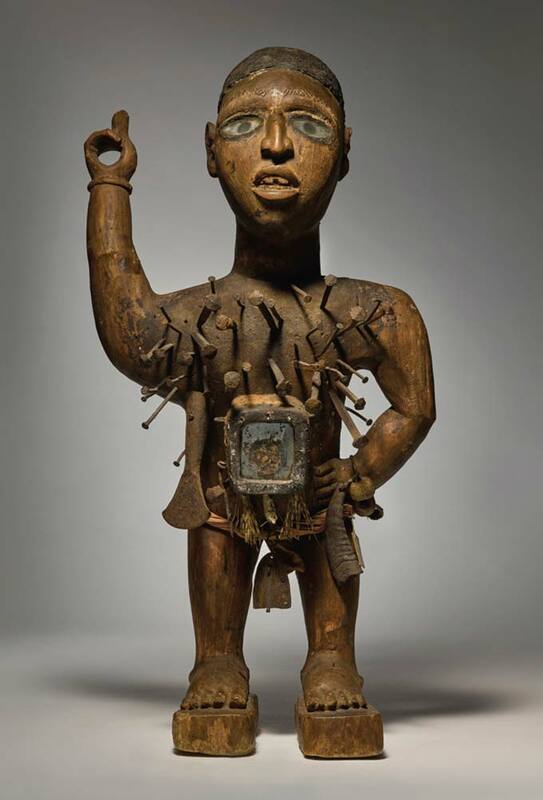 This past January the museum acquired through Sotheby’s an important nineteenth-century Kongo Power Figure, from the Loango region of west Africa (Republic of Congo and the Angolan enclave Cabinda) that borders the Kongo River. Standing just over twenty-four inches high and carved of wood, it is a type of figure that fulfilled a ritualistic role in Kongo communities. 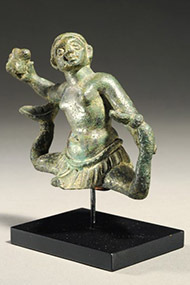 This small Etruscan bronze depicts Scylla, the mythical marine monster that is part female and part fantastic animal. Scylla features ferociously in Homer’s Odyssey, when she snatches six of Odysseus’ men from his ship and devours them. 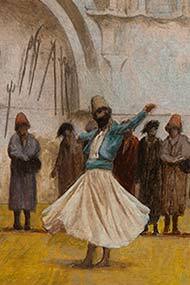 The French academic painter Jean-Léon Gérôme is best known for subjects derived from his travels in the Near East. With his meticulous, loving attention to detail, he created images of Turkey, Egypt, and Syria with a level of objectivity and precision unusual for his time. This work is a preparatory oil sketch for a larger painting he completed in 1899. In 1634 Rembrandt was busy filling commissions as Amsterdam’s most sought-after portraitist. He was also painting religious works that pushed the dramatic stylistic devices of Baroque artists like Caravaggio and Rubens to their theatrical limits. 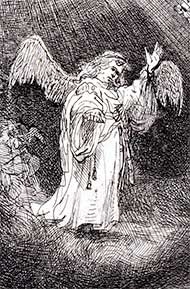 In this print, as in those paintings, the artist presents small figures in a vast, dark setting; he uses gesture to convey drama and spotlighting to focus the viewer’s attention upon it. Consistent with Rembrandt’s contemporary painting, as well, is a high degree of finish, which drew the praise of his contemporaries for its attention to detail, variety of poses, and accuracy of emotion. 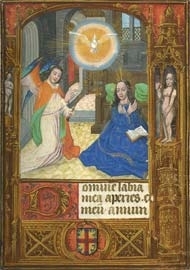 These two panels, purchased at auction at Sotheby’s London, once served as the wings of a triptych, most likely commissioned by a private patron for personal devotion in a home. 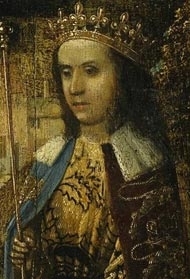 Circumstantial evidence suggests that the royal figure depicted in the right panel may well be a rare portrait of the English King Henry VI. 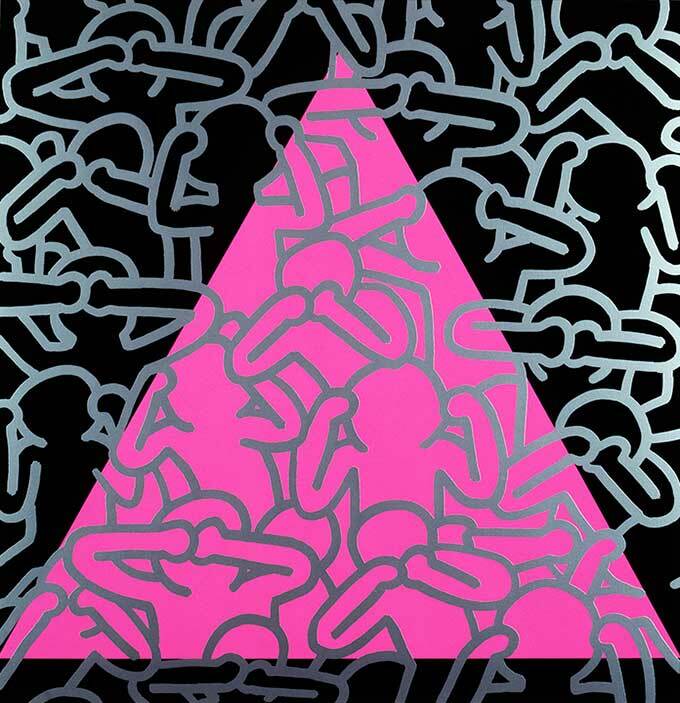 At their 40th Anniversary Gala in October, the Friends of the Art Museum were asked to consider three potential acquisitions for the Museum’s collection and to vote on which would stay. 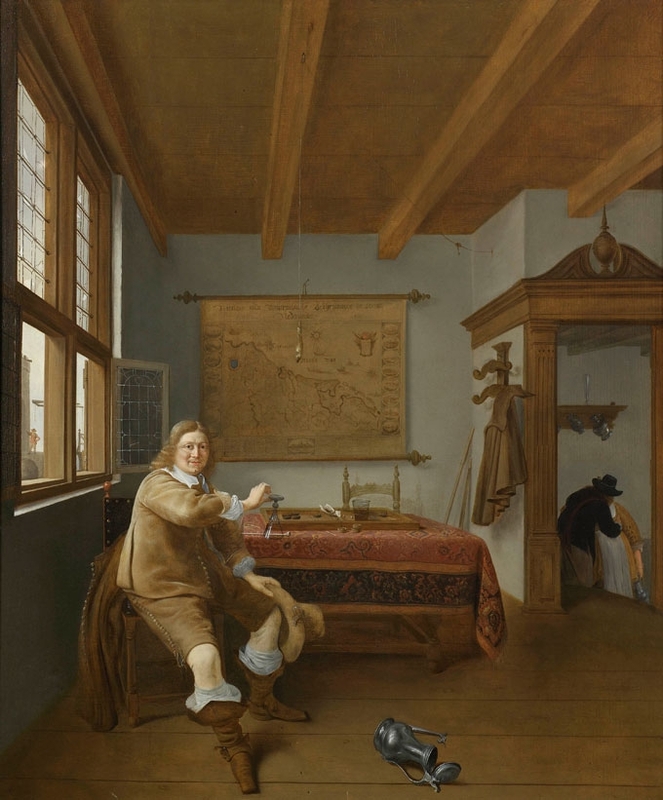 After an evening of food, drink, and dancing (and some heavy lobbying from various curators), the Friends chose to purchase Issack Koedijk’s The Empty Wineglass. 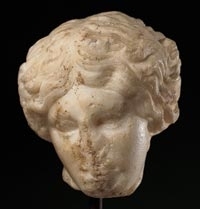 At the 13th Annual Christian A. Johnson Symposium in the History of Art and Architecture, Elizabeth Hirsch '11 presented the findings of her thesis research on the museum's Head of a Wounded Amazon. Watch the video. In honor of George Washington's birthday, we're reprinting an essay by David Meschutt that appeared in our 2002–2003 Annual Report. 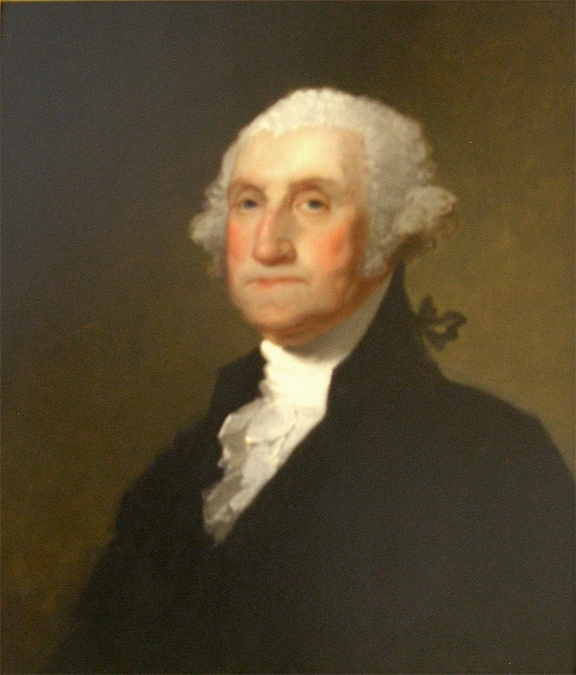 In his essay, Meschutt articulates why our portrait of George Washington, originally attributed to Gilbert Stuart, should be reattributed to Matthew Harris Jouett.